Neil Young may have made a name for himself first as a member of Buffalo Springfield, but it’s Young as a solo artist that achieved the success and accolades. 35 albums in 45 years. Songwriter extraordinaire, but did it ever get better than his 1972 album Harvest? The wistful ‘Old Man’ provides my first stop on any journey through his back catalogue. Have a great weekend. This song needs no introduction. Have a great week. Where do I start? Well let’s immediately state that I love this tune. The original ‘La Ritournelle’ was released on Sébastien Tellier’s 2004 album, Politics. It surfaced in the UK a year later on all the right dance floors. Some people spoke of it as Unfinished Symphony part two. Others just recast it as their own (listen to Radiohead’s ‘Reckoner’). For me, the genius is the combination of Tony Allen’s mesmerising drums and Tellier’s own reworking of Glenn Medeiros’s wise words. Nothing’s gonna change my love for this song. Have a great weekend. Check out the groove – it’s a Friday! The hustle, the cool, the break. ‘”T” Plays It Cool’ featured on Marvin Gaye’s album Trouble Man. For once, it’s not his vocals that transcend. Multi-instrumentalist Gaye plays the drums and creates possibly one of the most sublime breaks ever pressed to vinyl. The bubbling synthesizer is a nice modernist touch too. This was 1972. Have a great weekend. “A stick, a stone, it’s the end of the road”… the England football team fall again. The opening line of ‘Aguas de Março’ is embedded in Brazilian popular music. It helps that the song was composed and first released by bossa nova legend Antonio Carlos Jobim, then covered by Elis Regina for the album Elis in 1972, and ultimately by both Elis and Tom Jobim in 1974. I chose Regina’s solo version because I think she brings out the purity of the song. A sublime end to a week touched by disappointment. Have a great weekend. I began and end the week with songs so ingrained in my make-up, that it is hard to put into words how they may have shaped ‘my music’. I might just have to take this sublime number with me to my proverbial desert. Off the equally brilliant Pet Sounds, the track features layering of vocals, instruments, strings, organs, harpsichords, flutes and what sounds like sleigh bells and some clippety clops. And god only knows what gave those straight-laced boys the audacity to start off a song: “I may not always love you”. Divine intervention. The Beatles’ were listening here, there and everywhere. Have a great weekend. In 2001, The Strokes had made rock’n’roll believable again. Their song ‘Last Nite’ (and what followed) was a clarion call and its echoes can still be heard today. Three years later, The Walkmen would respond with their own derivative of the New York revival. Frontman Hamilton Leithauser spits out “You’ve got a nerve to be asking a favour/You’ve got a nerve to be calling my number”… anger, isolation, sadness, a snappy title, New York. With its abundance of punk anthem credentials, ‘The Rat’ was understandably released as a single. It also features on their long player Bows + Arrows. ‘The Night They Drove Old Dixie Down’ was written by Robbie Robertson, but sung by Levon Helm from behind the drums. First recorded by The Band in 1969 and released on their second and eponymous long player, Helm’s rendition of ‘Dixie’ taps into a real sense of loss: “… it’s a time I remember oh so well.” Helm grew up on a cotton farm in Turkey Scratch, Arkansas, on west bank of the Mississippi. He passed away in April 2012. I’m back in earnest and with a revelation too. It has taken a few years to settle in, but this is the Stones track for me. Off their 1968 long player Beggars Banquet, ‘Jigsaw Puzzle’ fends off other faves ‘Let It Loose’ and ‘She’s A Rainbow’ to win by a nose. The rest of the album, ain’t too shoddy either… ‘Sympathy For The Devil’, ‘Street Fighting Man’, ‘Stray Cat Blues’. Breathtaking talent. Have a great weekend. 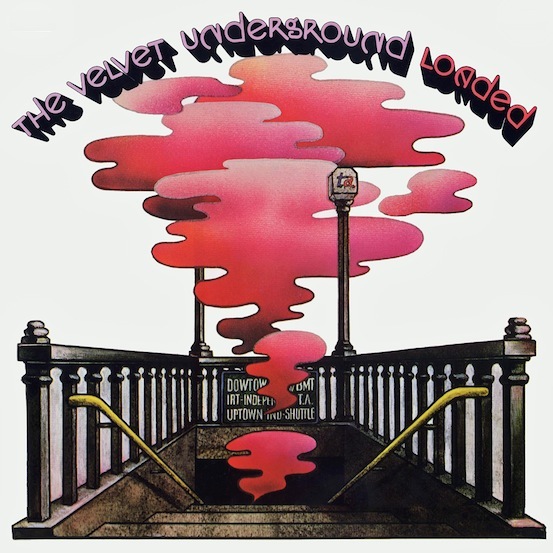 ‘Rock & Roll’ features on The Velvet Underground’s fourth (and my favourite VU) album, Loaded. At about the age of 14/15, I still recall a conversation with this cool-and-slightly-aloof kid in my school. I was listening to a lot of music by then – particularly Led Zeppelin, Pink Floyd and Bowie. He asked me what type of music I liked and sneered at my response. In return, I asked the same… “the Velvets” was the response. He had a point – there are very few songs that can beat the “fine, fine music” of ‘Rock & Roll’. It also has one of those moments at 2m34s. ‘Alone Again Or’ set out Love’s stall as the opening track on their long player Forever Changes. This was the summer of 1967 and a positive tune with a sad message was not as well received then as it is now. Often covered, Bryan MacLean’s lyrics combined with Arthur Lee’s original production has never been bettered. Check out those horns at 1m48s and have a great weekend! A good friend cited this track as his all-time-favourite song and he knows what he is talking about. This music transcends musical styles and generations. That will be Mr. Eno’s doing, who had a hand in this classic from Talking Head’s 1980 album Remain in Light. While the ‘wacky’ video shows the limitations of the time, the sound still shines bright.